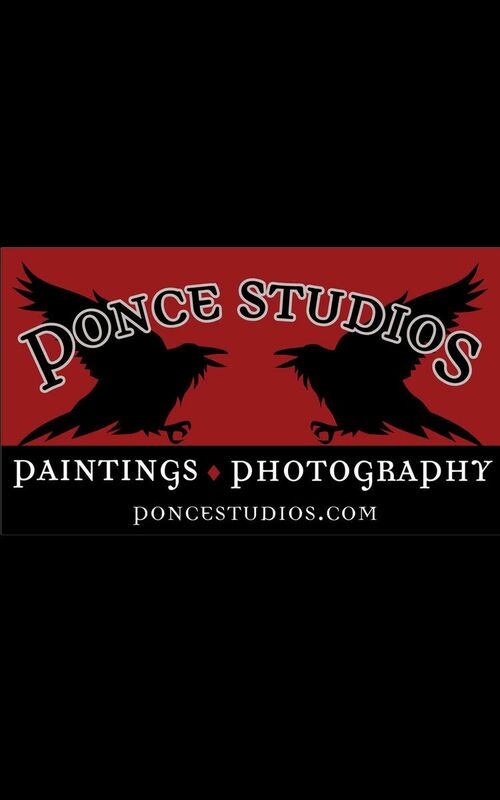 Ann Ponce was born in 1950 and has been painting and teaching art since 1976, in Denver, Indianapolis, and Chicago. Classically trained in art, Ann first studied drawing and painting at Indiana University, then at the Rocky Mountain College of Art & Design in Denver, Colorado, where she joined the faculty from 1976 to 1978. From 1988 until 1997, she taught classes in Portraiture, Figure Drawing, and Painting at the Evanston Art Center, Evanston, Illinois. Ann now teaches from her own studio. Her work is in many private and public collections. Ponce Studios, located in an historic coach house on the alley behind 4553 N. Wolcott Avenue, is in the heart of Chicago's industrial Ravenswood corridor. It is home to two all day painting workshops each week, led by Ann Ponce. In addition, photographers Maggie Rife Ponce, Maria Ponce, and Kelly Feldmiller work from the space. The property has been lovingly landscaped by Phil Ponce, who also designed the Ponce Studios logo featuring two ravens.